RJ45 connector for use with MidNite Solars Cat5 cable. Sold in packages of 10 pricing is per item. 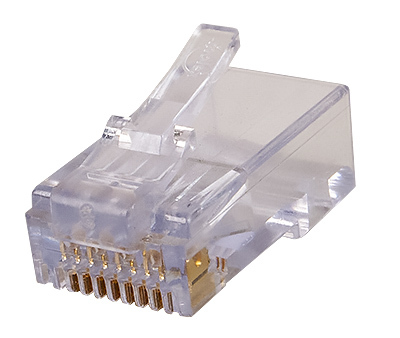 Description: An 8-pin/8-position connector for Cat5 cable.